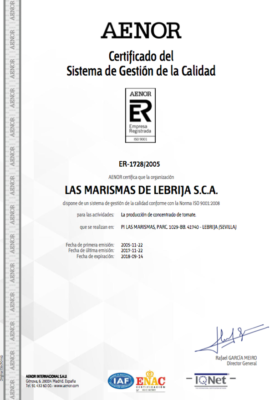 The Quality Department is responsible for all quality-related aspects at Las Marismas de Lebrija SCA. This department was created to help in our quest for perfect product, and ensure customer satisfaction, workers’ well-being and our company’s future. 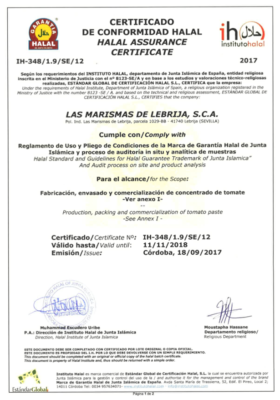 For many years now, Las Marismas de Lebrija SCA has implemented a Quality and Food Safety System to meet our customers’ demands, creating safe, premium quality products. 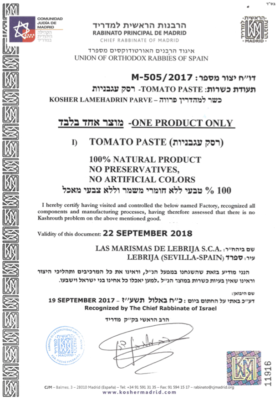 This requires commitment, which in our case consists in complying with all regulations related to the production of foodstuffs and manufactured products, including hygiene, monitoring and marketing standards. 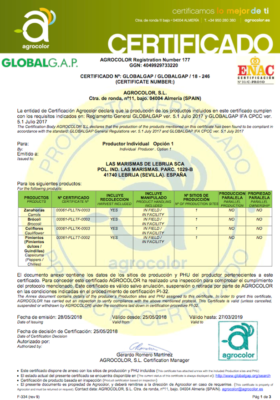 To achieve this, there is also a need to train our staff properly and provide operating protocols to produce products with all existing safeguards. 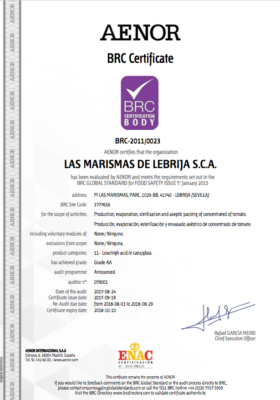 Las Marismas de Lebrija SCA has a long-standing policy of working with a documented quality system that is frequently checked for adequacy and effectiveness. 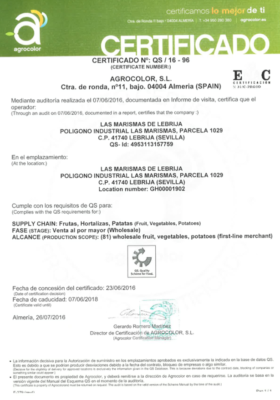 The Food Quality and Safety System in place complies with ISO 9001:2008 requirements and BRC protocol. 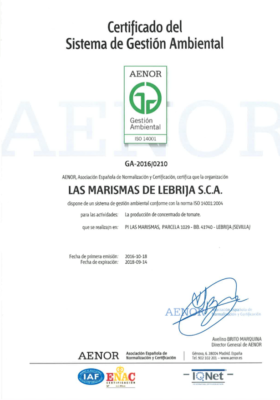 Moreover, Las Marismas de Lebrija SCA’s quality policy is committed to manufacturing GM-free products. (Genetically modified). 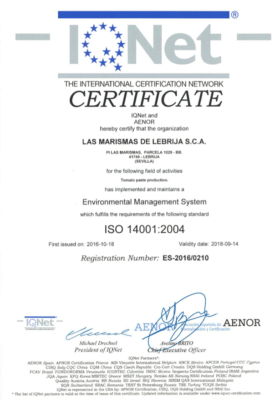 Our company focuses on a number of goals, in particular: achieving customer satisfaction with the product and services delivered; producing a safe product, meeting the highest health and hygiene standards and all legal requirements; striving for the highest quality in our products and work; attaining a high level of environmental protection, minimising associated impacts and ensuring biodiversity in the area in which we operate; and seeking the well-being of our workers and the societal environment in which we operate.